In this article, we review the basics of gestational diabetes and explain how women with PCOS may decrease their risk by taking an inositol supplement. Put simply, gestational diabetes is diabetes during pregnancy. Women who have never had diabetes can develop gestational diabetes during pregnancy because hormones that are produced by the placenta to help the baby grow also increase insulin resistance in the mom. In other words, these placental hormones keep the mother from responding to insulin efficiently and change the way she metabolizes carbohydrates and fats, which can result in high blood sugar levels. Most women will make enough insulin to keep their blood sugar levels from getting too high during pregnancy. When your body does not make enough insulin, or is too resistant to insulin, however, gestational diabetes results. Screening for gestational diabetes is usually done between 24-28 weeks pregnant. If you have PCOS, your doctor may recommend that you get screened earlier in pregnancy, and if negative, screened again during the typical 24-28 week period. An oral glucose tolerance test is done for women who fail the screening. During this test, a woman will have to consume a sugary drink within 5 minutes. A blood draw is done prior to drinking the sugary drink, and repeated at 1, 2, and 3 hours after. Results of this blood test reveal whether you have gestational diabetes. Who is at an increased risk for gestational diabetes? Gestational diabetes can lead to problems for mother and baby if blood sugar levels are not controlled. Women are advised to make diet and lifestyle changes when diagnosed with gestational diabetes. A doctor may also prescribe medication when diet and lifestyle changes are not enough to control blood sugar levels. 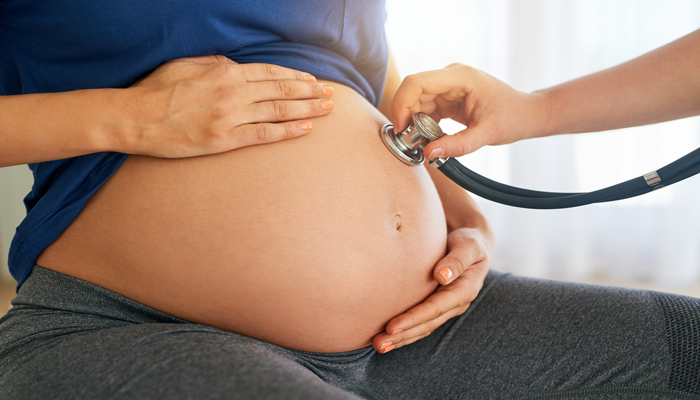 In addition to diet and lifestyle changes and prescription medications, recent research suggests that inositols may reduce the risk of gestational diabetes. 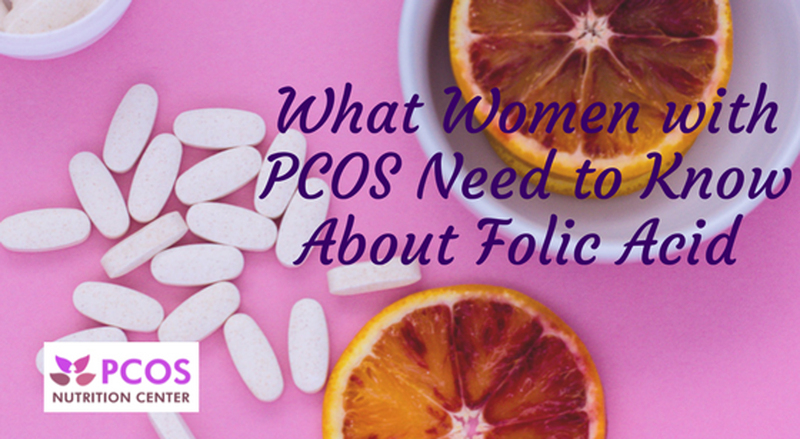 Myo-inositol and D-chiro-inositol are thought to be out of balance in women with PCOS. Taking a combination of these two forms, in the body’s naturally occurring ratio of 40 to 1, helps correct this imbalance. Inositols work by helping the body use insulin more effectively. They are considered “secondary messengers” in insulin signaling. Insulin is a hormone made by the pancreas that allows our cells to take in glucose and produce energy from the food we eat. For insulin to work, it must bind to the insulin receptor on the surface of our cells. Think of a lock (the insulin receptor) and a key (insulin). When insulin binds to its receptor, it “unlocks” and releases secondary messengers. These secondary messengers tell the cell it is time to take in glucose from the blood. 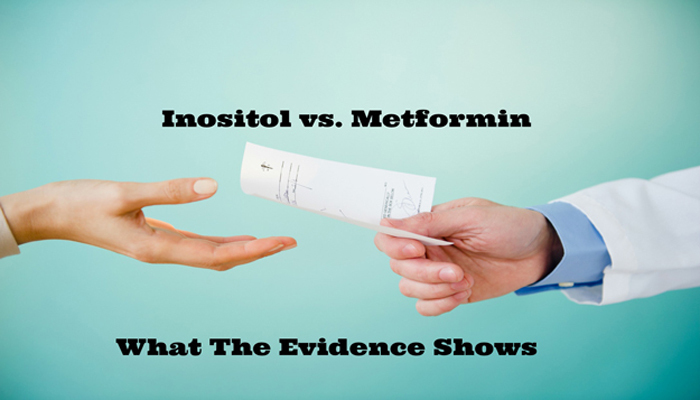 Most women with PCOS are insulin resistant and do not properly release secondary messengers (such as inositol). As a result, glucose does not get into the cell efficiently, and blood sugar levels remain high. This tells the pancreas to make more insulin. The over-production of insulin results in high insulin and blood sugar levels. Taking an inositol supplement that has both myo- and D-chiro-inositol in the ideal 40 to 1 ratio helps with insulin signaling, and thereby decreases insulin resistance. This results in lower insulin and blood sugar levels. Inositols and gestational diabetes: what does the research show? Numerous studies have found that inositols decrease the risk of gestational diabetes. This research adds to the growing number of inositol studies showing positive results in women with PCOS. Potentially decreasing gestational diabetes risk is just one of many reasons to add an inositol supplement to your daily regimen. How much inositol should I take? According to these studies, women should take 2000 mg of myo-inositol, twice a day. Ideally, an inositol supplement should also contain D-chiro-inositol. A supplement that combines myo- and D-chiro-inositol, in a 40 to 1 ratio, is ideal. Are inositols safe during pregnancy? Yes, inositols are safe to take during pregnancy. The studies mentioned above have not shown any significant adverse effects in pregnant women. As always, consult with your doctor before taking any dietary supplement. Tiffany Graham, MPH, RDN, LDN is a Registered Dietitian and the Vice President for Research and Education at Theralogix Nutritional Science. Theralogix produces evidenced based, independently tested and certified nutritional supplements for women’s health and other medical specialties. Tiffany is passionate about the role of nutrition and supplementation for women’s health. Her primary interests include PCOS, fertility and pregnancy. Tiffany’s interest in gestational diabetes began when she herself was diagnosed. Her personal struggle to manage her blood sugar levels, which became more difficult as her pregnancy progressed, gave her a true appreciation of the role nutrition and inositol supplementation in insulin and blood sugar control. 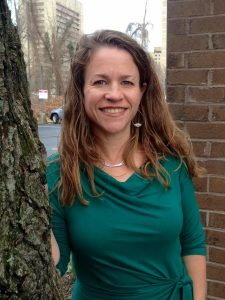 Tiffany resides in the Washington, DC area, where she enjoys cooking, running and other outdoor activities with her husband and two sons. Yu et al. Association between polycystic ovary syndrome and the risk of pregnancy complications: A PRISMA-compliant systematic review and meta-analysis. Medicine (Baltimore). 2016; 95(51):e4863. Qin et al. Obstetric complications in women with polycystic ovary syndrome: a systematic review and meta-analysis. Reprod Biol Endocrinol. 2013; 11:56. Artini et al. Endocrine and clinical effects of myo-inositol administration in polycystic ovary syndrome. A randomized study. Gynecol Endocrinol. 2013; 29(4):275-9.4. Benelli et al. A Combined Therapy with Myo-Inositol and D-Chiro-Inositol Improves Endocrine Parameters and Insulin Resistance in PCOS Young Overweight Women. Int J Endocrinol. 2016:3204083. Constantino et al. Metabolic and hormonal effects of myo-inositol in women with polycystic ovary syndrome: a double-blind trial. Eur Rev Med Phamacol Sci. 2009; 13:105-10. D’Anna et al. Myo-inositol may prevent gestational diabetes in PCOS women. Gynecol Endocrinol. 2012; 28(6):440-2. D’Anna et al. Myo-Inositol supplementation and onset of gestational diabetes mellitus in pregnant women with a family history of type 2 diabetes: a prospective, randomized, placebo-controlled study. Diabetes Care. 2013; 36(4):854-7. Santamaria et al. Myo-inositol may prevent gestational diabetes onset in overweight women: a randomized, controlled trial. J Matern Fetal Neonatal Med. 2016; 29(19):3234-7. D’Anna et al. Myo-inositol Supplementation for Prevention of Gestational Diabetes in Obese Pregnant Women: A Randomized Controlled Trial. Obstet Gynecol. 2015;126(2):310-5. Matarrelli et al. Effect of dietary myo-inositol supplementation in pregnancy on the incidence of maternal gestational diabetes mellitus and fetal outcomes: a randomized controlled trial. J Matern Fetal Neonatal Med. 2013;26(10):967-72. Dell’ Edera et al. The influence of D-chiro-inositol and D-myo-inositol in pregnant women with glucose intolerance. Biomed Rep. 2017; 7(2):169-172. There is no more references than 5 and you mention in the article number 6 and so on. 🙂 Would you be able to share the references mentioned in the article? Yes, thank you for alerting us to this! They have been added. Interesting blog, good information given related to diabetes in pcos women. Thanks for sharing the blog with us. Maybe you addressed this and I missed it, but can I take Ovasitol and berberine at the same time? 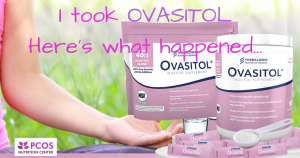 yes, you can take ovasitol and berberine at the same time. Does taking 2000 mg if myo-inositol and 50 mg of d-chiro pose any particular risk during pregnancy? Does it cause uterine cramping or any other adverse affects? I have PCOS and have had great results taking both. I’m unsure if I should continue now that I’m 4 weeks pregnant. Your article is informative as it relates to gestational diabetes. I would like to know if there are any potential downsides to taking these supplements while pregnant. Thank you. 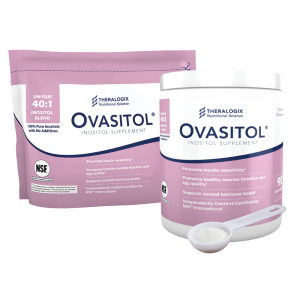 No adverse risks of taking Ovasitol in pregnancy have been found, however, we need more studies. 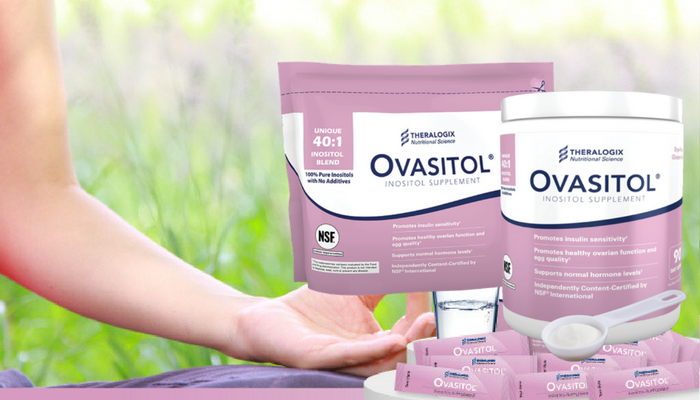 Please consult with your doctor about taking Ovasitol or any supplement during pregnancy. Hello Angela, does it have any contraindications with hypertension medication Adalat? 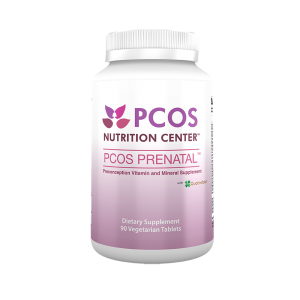 I have recently been diagnosed with PCOS and menses have been all over the place.